62 Shen-jhong Road, Yanchao Twp. 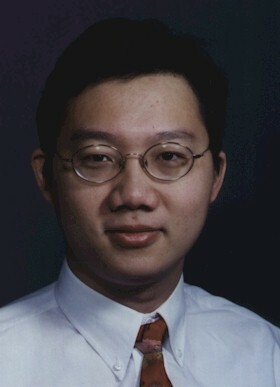 Dr. Y. Eason Lin graduated from National Cheng-Kung University, Tainan, Taiwan. He received his graduate education from the Department of Civil and Environmental Engineering, University of Pittsburgh (M.S., 1995, Ph.D. 1999) and the master degree of business administration from Katz Graduate School of Business, University of Pittsburgh (MBA, 1999). He is a member of American Water Works Association (AWWA) and American Society for Microbiology (ASM). Dr. Y. Eason Lin is currently a Professor at Graduate Institute of Environmental Education, National Kaohsiung Normal University. His professional expertise is in the area of disinfection of emerging waterborne pathogens, including Legionella and Mycobacterium avium, from hospital and residential water distribution systems. He has numerous articles on Legionella disinfection modalities. He is involved in the designing of new disinfection systems. In addition to his research efforts, he also provided engineering and business consultation to companies in evaluating, selecting, installing, and designing disinfection systems for institutional water distribution systems.